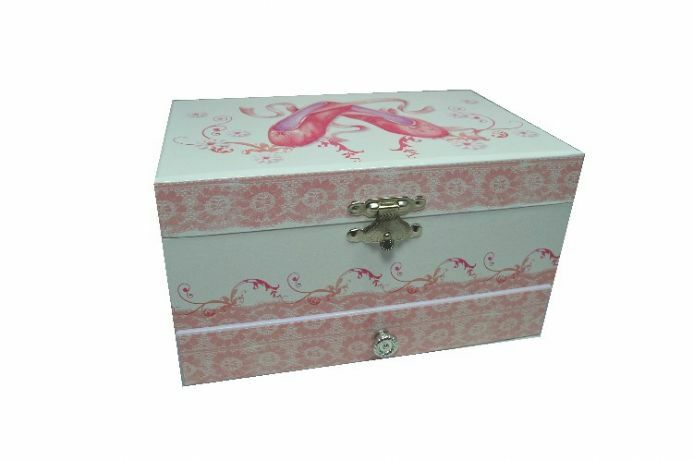 A beautiful musical jewellery box with ballet slipper design. 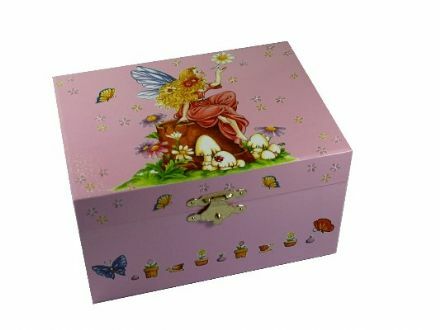 This large musical jewellery box is ideal for the budding ballerina or child who loves pretty boxes. This music box is from our ballet slipper range of products. 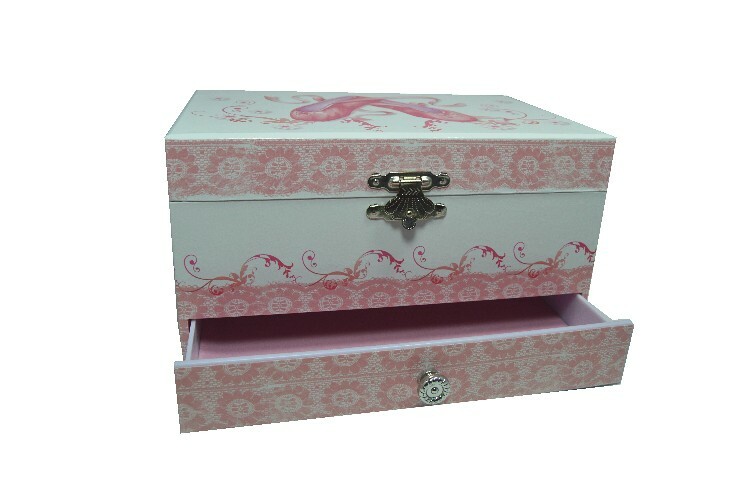 The main body of the music box is made from a thin wood board (the drawer is moulded) and covered in a glossy printed paper with ballet slipper and lace design. The interior of the box is lined with a pink baize material. There is a ballerina figurine inside that pops up and revolves to the music when the lid of the music box is lifted. 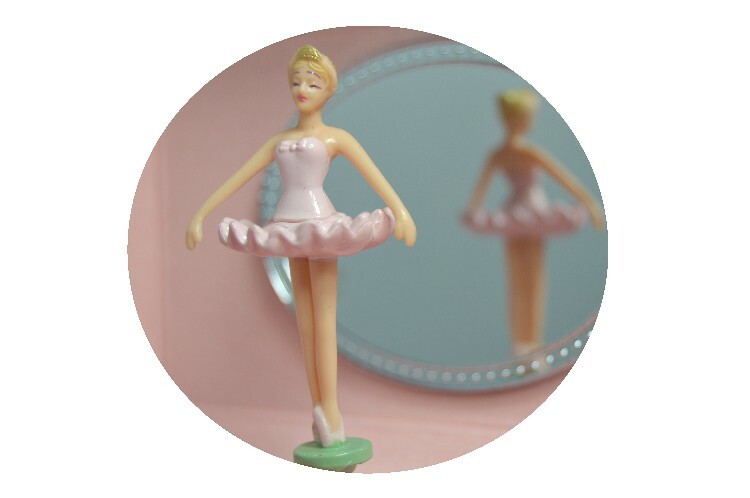 Behind the ballerina is an oval shaped mirror. There is plenty of space for jewellery storage including padded slots for rings. At the front of the music box there is a pull out drawer for additional storage space. This musical jewellery box is fitted with a clockwork musical movement that is wound by a key at the back of the box. The tune is 'Swan Lake'.